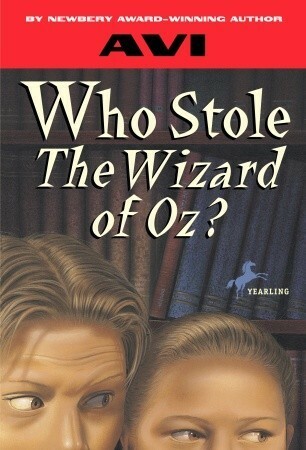 Devour Books: Who Stole The Wizard of Oz? What happens when you have a student whose reading level is below the rest of the class? You spend the summer reading books at that child's level so you always have something to recommend. Who Stole The Wizard of Oz? is a simple mystery that will keep even developing readers wondering what will happen next. When a copy of The Wizard of Oz is stolen from the library and Betsy is blamed for it, she and her twin Toby must find the true thief. Although this book was originally published in 1981, it doesn't feel dated. Avi is clever in making books central to the mystery, which may lead to readers checking out the novels he recommends. It's not groundbreaking and probably won't become a favorite, but it is good for getting those struggling readers' eyes on print.